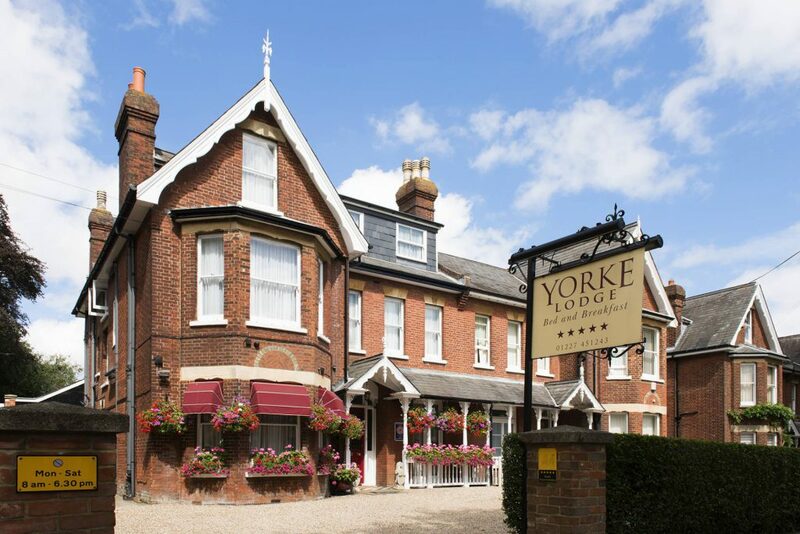 A warm and friendly welcome awaits you at our luxury 5 Star quality bed and breakfast at Yorke Lodge, located in the City of Canterbury, in Kent. Yorke Lodge guest house offers relaxing holidays, luxury weekend breaks and comfortable overnight stays. From the moment you arrive at our Bed and Breakfast the charm and character of Yorke Lodge will relieve you of the day-to-day stresses and provide you with a relaxing stay. The same family has run Yorke Lodge for 15 years offering guests high quality, comfortable accommodation and a home-cooked Aga breakfast made from locally sourced produce. Whether you are travelling for business or pleasure at Yorke Lodge Bed and Breakfast we continuously strive to improve our services to provide every visitor with a memorable stay. We would hope to see our guests return again and again – in fact many of our “guests” are now really friends who come to stay. Most importantly we aim to create a warm, peaceful atmosphere where you can come to relax and unwind. Whether you’ve had a busy day at work or full day sightseeing we are a place of rest and recuperation. We have and owned and run Yorke Lodge for over 15 years and love welcoming guests every day. 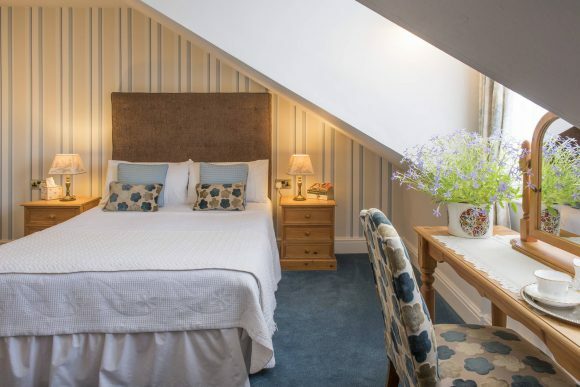 With just 8 bedrooms you can be assured of a warm welcome, local knowledge and friendly, personal service throughout your stay at Yorke Lodge. Free Wi-Fi is available throughout Yorke Lodge and we also have a printer and fax machine for guest use. Each of our 8 bedrooms feature comfortable beds with high quality mattresses and linens, as well as modern en-suites with large fluffy bath towels and luxury toiletries. Parking can be tricky in Canterbury. We have on-site complimentary parking and there is also street parking just outside. We are extremely lucky to have a large garden which offers a delightful space to relax and unwind. 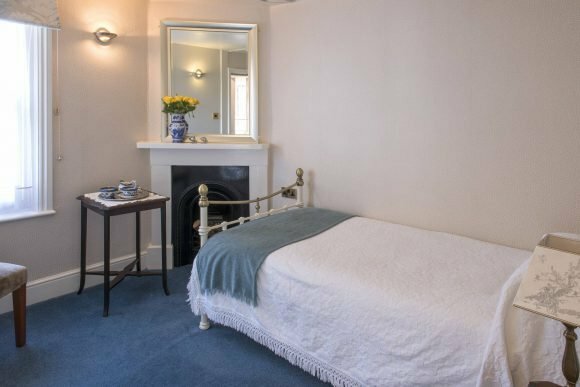 Yorke Lodge is set just a 10-minute stroll from City Centre well away from the late night noise of central Canterbury and its busy nightlife. 4 bedrooms look out over the garden and are particularly quiet. All front facing rooms have high quality secondary glazing installed to minimise street noise. Yorke Lodge is easy to find if arriving by car and just a 10-minute walk from the train station. Located on the north side of the city we are on the doorstep if Kent University, St Edmunds School and Kent College. Served in our light-filled, welcoming breakfast room with plenty of choice, whether Continental, traditional full English or a combination. If dogs are a man’s best friend, then Yorke Lodge is the best place in Canterbury to bring them on holiday. We welcome clean, well-behaved dogs. We also offer ideas for dog friendly pubs and walks etc. 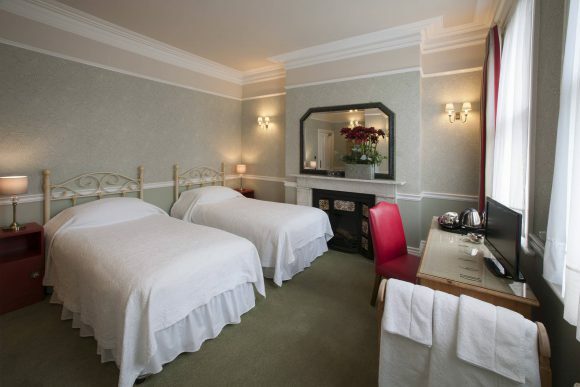 Our two superior double rooms can have a single bed added to them to make family accommodation. We have 3 types of double rooms. They are all fully equipped, decorated and loved exactly the same way but are of differing sizes. We have just one twin bedded room en suite, again on the first floor. 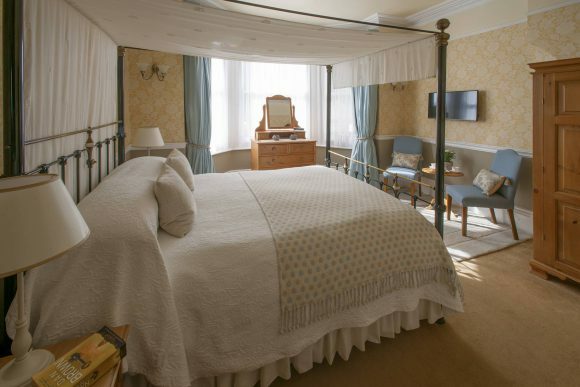 For an extra large bed, the beds here can be ‘linked’ to make a whopping 6ft (180cm) bed.